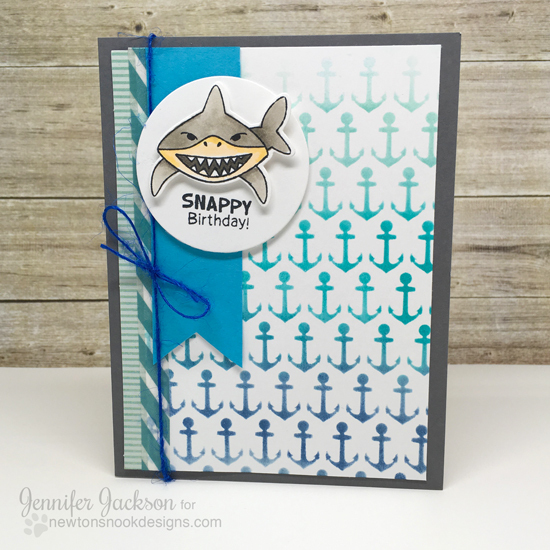 Newton's Nook Designs: It's SHARK WEEK! Last year we did a week long Shark Week Celebration. We had SO MUCH FUN we decided we need to do it again this year! 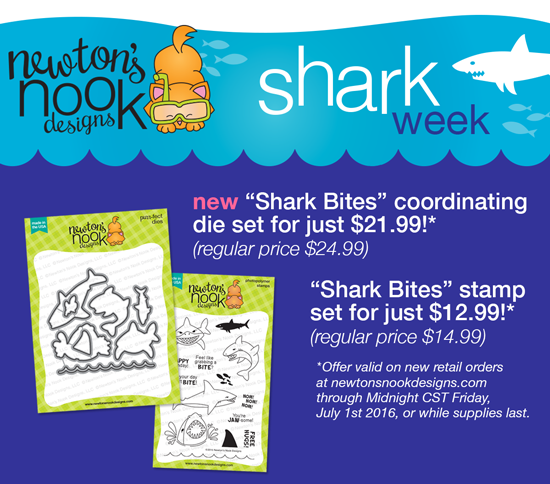 Our Design Team will be featuring our Shark Bites Stamp Set all week long! Plus we're having a sale - scroll down to the bottom of this post for details. I used the fun image of the shark swimming towards you and cut him out with the new die! Then I added him to a circle with the "Snappy Birthday" sentiment. For the background I created an ombré anchor pattern with a stencil. Then I added some little strips of paper and washi and some blue twine to finish it off! 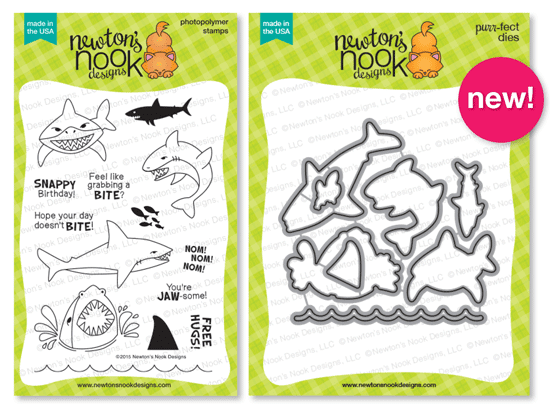 To make this week even more fun, we've put the our Shark Bites Stamp Set & the NEW Shark Bites die set on SALE!! Hope you enjoy our shark week celebration! Remember to stop back to the blog each day for some fresh sharky inspiration!! Love the fresh summer colors on the card! And the ombre background is just amazing!